Hey all, if you live in the LA area and want to come out and hear myself and other Robot friends play some records, this is the month to do so. 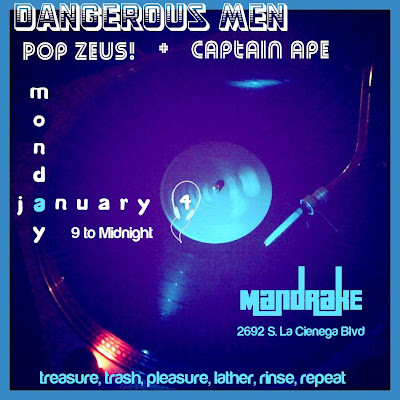 We're doing at least 3 Mondays at the Mandrake Bar near Culver City. Fun and funky little spot and you know the music will be tight. Happy New Year, and hope to see some of you soon! This entry was posted on Monday, January 04, 2010 at 11:24 AM. You can skip to the end and leave a response. talking about the new year, there's a song on the legends record over and over, called always the same, thats decent and reminds me of a much lesser best coast. google that. its a nice little song, and the title sums up my take on 2010. happy new year tony.